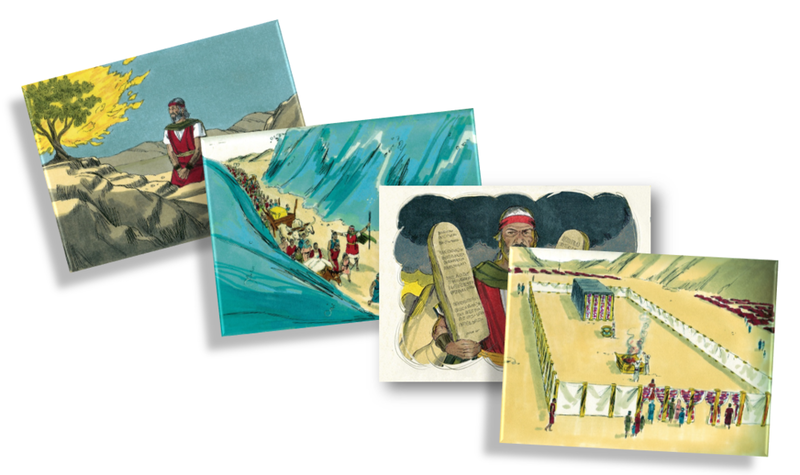 Seven research* based packages of Old Testament video templates allowing the translator to easily create short Bible story videos. Click on the link to the Bible story video templates you want to translate. You will be directed to a download folder which has all the information to make your Bible story video. Follow instructions for making your Bible Story video from this link: Quick Start Guide. (We've provided a sample below for "The Flood." Each story link below has a sample video which you can find in the "Sample Video" folder). When making your Bible story videos you have the option to add or alter images and music. Scripts are consultant checked in the major language but will need to be translated and checked using the script pages provided.